When it comes to taking care of color treated hair it’s quite a bit different than if you have simply have your natural colored hair. It doesn’t matter if you color your hair at home or you get it done professionally there are certain things you can do to help extend the color of your hair and prevent it from fading. Here are 5 tips for how you can maintain your color treated hair to make the color last longer and look much healthier. It may not sound enjoyable, but washing your hair in cool water instead of hot or even warm water can help prevent your hair from fading quickly. The hot water will actually open the hair cuticle allowing the water to strip the dye from the hair. You don’t have to wash your hair in freezing cold water but you definitely should turn it colder for your hair washing. The colder the water the better you can preserve your hair color for longer. Check out my other tips on washing color treated hair to learn more. If you have color treated hair whether it is just some highlights or your whole hair dyed, you need to use a shampoo that is made specifically for colored hair. At all costs you should avoid using any type of shampoo with sulfates as it will simply strip your hair color very quickly. It has even been known to change your hair color and have bad reactions with some dye jobs. You can find all kinds of all color protecting shampoos and conditioners from drug store brands to professional hair brands. It all depends on how much money you want to spend as well as any other problems you may have with your hair. If you use any type of hair products such as mouse, gel, or hairspray, make sure they don’t have any alcohol in them. Any product that has alcohol in it will dry your hair out really fast and with it already being colored it can look damaged really quickly. Even if you don’t have color treated hair it’s a good idea to avoid hair products with alcohol just because they can dry out hair so much. Instead look for hair products with no alcohol and even some with moisturizing extracts to help with any dryness you may have after dying your hair. You may want to think twice about straightening your hair with a straightening iron every day if you have color treated hair. Applying heat to your hair will really cause it to dry out and can cause more damage to already dry, colored hair. Also, just like using hot water in your shower can strip the color from your hair, using too much heat when styling your hair can do the same. This includes hair straighteners and irons as well as blow dryers. The less heat you put on your hair the better. If you can’t live without straightening or curling your hair, then make sure you use a heat protection spray on your hair before anything touches it. This helps to protect the strands as well as adds moisture to the hair. If you have dyed hair the last thing you want to do is to go swimming in a chlorinated pool or hot tub. The mineral deposits in the pool actually will cause that dreaded green/orange color to appear if you are not careful. The last thing you want is for your bleach blonde hair to turn green from the swimming pool. This goes for any type of chlorinated water as well as hot water such as hot tubs. If you have no choice or you simply really want to go swimming on vacation or for a special occasion, use baby oil on the roots of your hair to help protect it from the chemicals. Once you are done swimming, make sure to wash your hair extremely well as soon as possible. 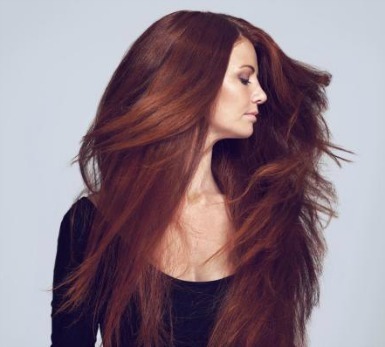 You can keep your hair color vibrant for a lot longer as well as keep your hair looking healthy if you follow these hair tips for color treated hair. If not you may just find yourself back in the salon or buying new hair dye in a matter of a few weeks.